So what are your plans for tonight? Are you going to watch the fireworks or are you settling in for private party with bonfire? 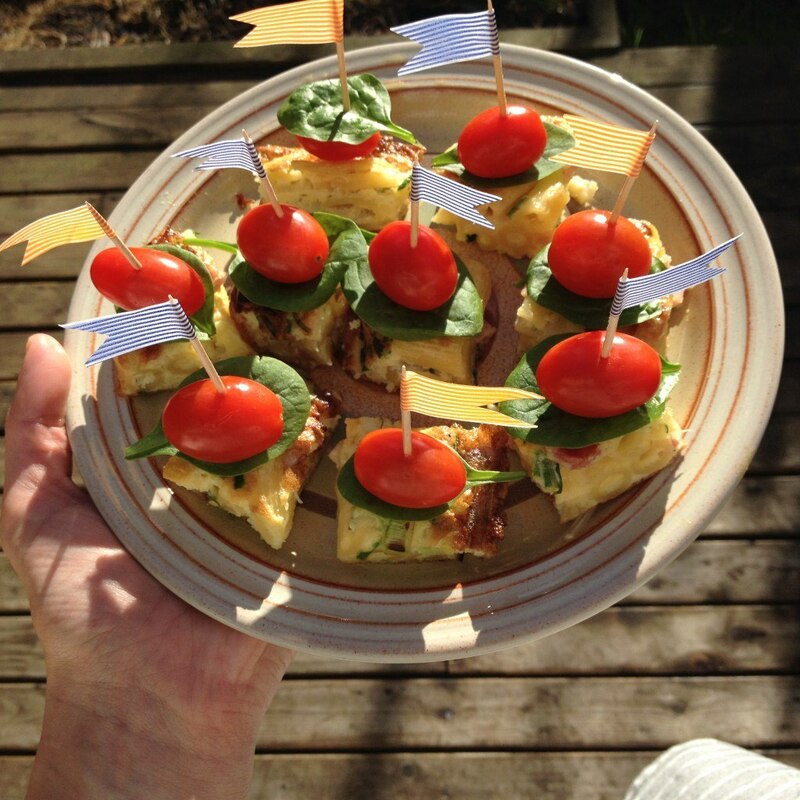 Whatever you are doing, making snack size tortilla is always a good way to go! 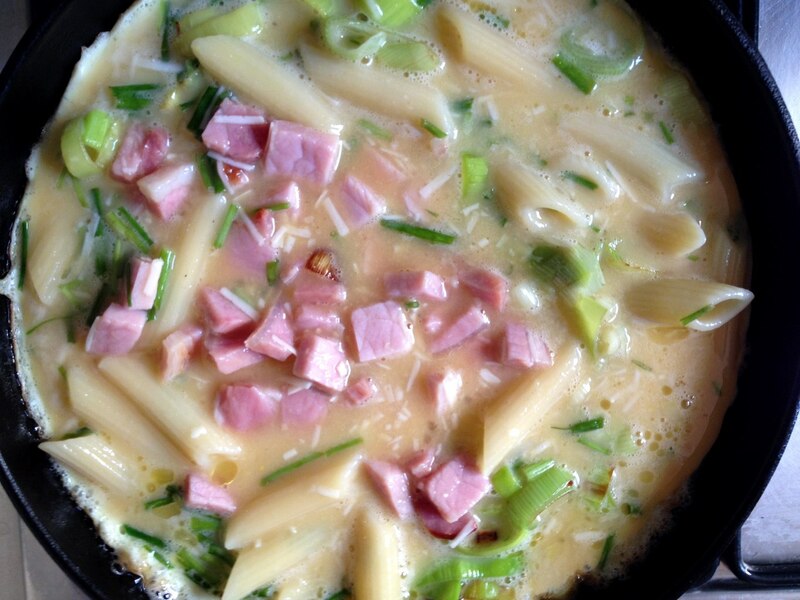 Here is how I have made mine today, with pasta, leeks and bacon. You can pretty much substitute any ingredient with something that you already have in the fridge and this is why I love this dish! I believe every food deserves a second chance ;). 1. 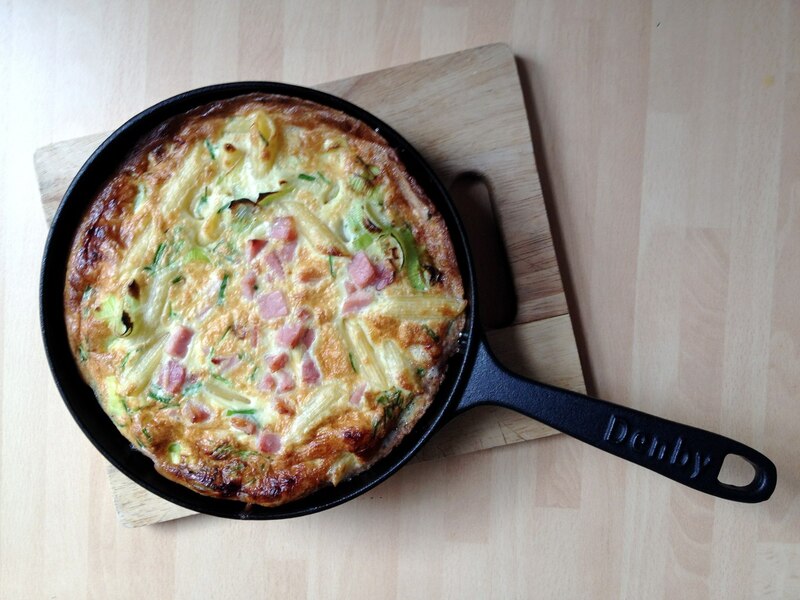 Beat the eggs with the mustard and some seasoning if you would like, then add bacon, chives, pasta and leek. 2. Set the grill on high. Heat the oil in medium frying pan (iron pan preferably). Cook the egg mixture on low heat for about 5-10min. 3. Once the tortilla is set in the pan, place the pan under the grill to finish off cooking the top. 4. 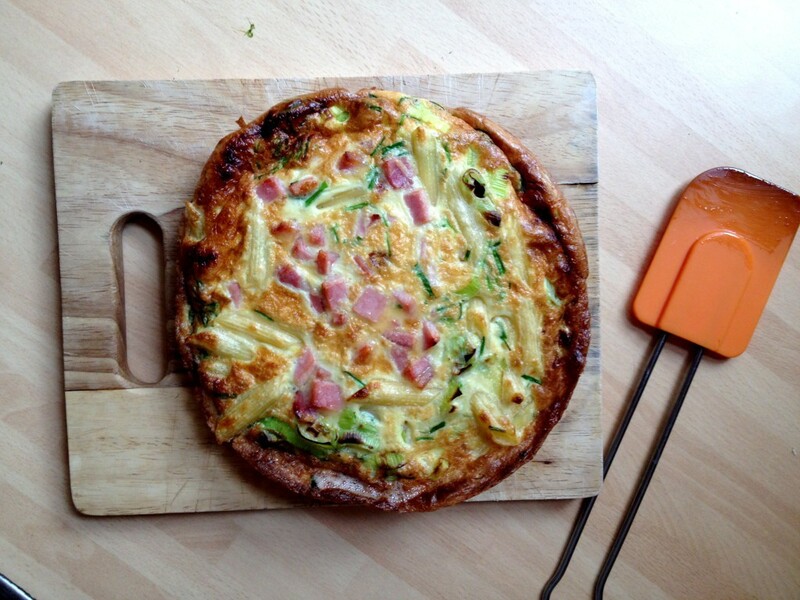 Remove the tortilla by placing plate or chopping board on top and flip it. 5. 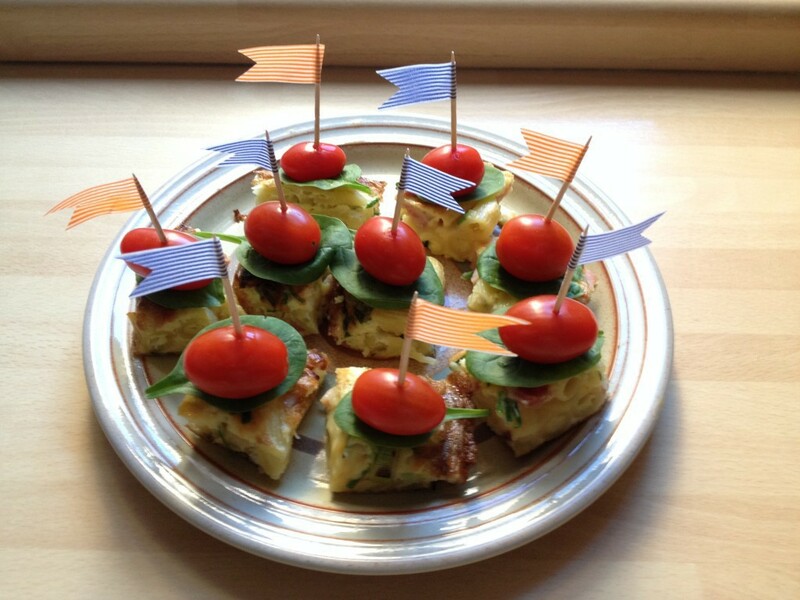 Slice the tortilla into the squares and serve it with spinach and cherry tomato skewers on top.